Toxic liver – the liver is charged with detoxification of harmful substances including medications, alcohol, and toxic chemicals. When it becomes toxic it is less able to do its job and can lead to fatty liver, cirrhosis, or alcoholic hepatitis. Some of you are now asking “But what about the positive health effects of red wine?” Unfortunately the jury is still out on this but most researchers agree that it’s nearly impossible to get sufficient amounts of the antioxidant resveratrol from red wine without risking toxic doses. Healthier alternatives: Try sparkling water with fresh lemon, lime, or unsweetened cranberry juice. (Sparkling Kombucha, a probiotic tea, makes a healthy and delicious alternative too!) If you do choose to drink alcohol, do so wisely. New Dietary Guidelines: Help or Hindrance? Have you tried navigating through the voluminous report the US Dept. of Agriculture (USDA) has recently published to help us make healthier food choices? While there is much good information in the report, what most of us want is simplicity – guidelines that are clear, complete and accurate, without the influence of special interest groups. Unfortunately, this is not what we get. Dr. Willet goes on to say: Further, the clear scientific conclusion that sugar-sweetened beverages should be reduced were also censored in the final recommendations. .. the USDA has engaged in censorship and obfuscation. Clearly these Guidelines bear the hoof prints of the Cattleman’s Association and the sticky fingerprints of Big Soda. They fail to represent the best available scientific evidence and are a disservice to the American public. If you want the whole story on nutrition, I advise you expand your reading to include authors such as Dr. Joseph Mercola who offers a wide variety of current health and nutritional research, Mark Hyman, preventative health MD, Ann Louise Gittleman, nutritionist and author, and Marion Nestle, nutritionist, author (most notably “Food Politics” and “What to eat”) and sociologist. There are many others. And keep an eye on this blog for future discussions! Healthy Eating – Common Sense? We hear and read a lot of conflicting information on nutrition and what to eat including information from major universities, top government agencies, and leading nutritionists. It seems sometimes the best thing to do is trust your instincts and find what works best for you! To help you with this, the following information has been compiled from the integrative/holistic health community. While not all-inclusive, these suggestions for healthy eating are generally agreed on in the current literature. “outside the box.” Processed food is devitalized, containing little nutritional value and usually contains a plethora of artificial colors and flavors and preservatives. In addition, toxic ingredients such as MSG (hidden under a variety of names) and high fructose corn syrup (HFCS) are often lurking. • Eat a variety of food colors – this ensures you receive the necessary phytochemicals (e.g., bio-flavonoids) which help protect against chronic disease. • Choose foods high in antioxidants – This includes fruits, veggies, and fresh herbs to fight free radicals. Free radicals find their way into our bodies through air pollution, tobacco smoke, radiation, herbicides, and rancid fatty foods. (Be sure to refrigerate all nuts and oils to prevent rancidity. )Free radicals contribute to premature aging and chronic disease. Antioxidants are found largely in fruits and vegetables. • Choose organic – This eliminates most of the synthetic fertilizers, herbicides, pesticides, & fungicides many of which are known carcinogens as well as endocrine disruptors which also wreak havoc on our immune system. Choosing organic will ensure you are not eating so-called “Frankenfood” – genetically modified organisms or “GMOs” which are believed to be contributing to an increased incidence of food allergies. Most all processed foods contain GMO’s, often in the form of corn and/or soy. If a product is not certified organic, it most likely contains genetically modified organisms. • Drink Filtered water – Tap water (of which a large percentage of bottled water is comprised of) contains heavy metals, toxic chemicals including chlorine & fluoride, and medications (Silent Spring Institute has tested drinking water here on Cape Cod and found Sulfa drugs and fire retardants among other contaminants in our drinking water.) How much filtered water should you drink? Newest research suggests you drink half of your weight in ounces of water daily – so if you weigh 150 lbs. you should divide that by 2 which equals 75 ounces of water daily. • Limit intake of caffeinated beverages – Caffeine increases stress by releasing more stress hormones into the body – thereby impacting the immune system, blood pressure, heart rate, and insulin. It also contributes to dehydration by it’s diuretic action. It is recommended that for every caffeinated (or alcoholic) drink, you should consume one extra glass of water in addition to your minimum daily requirement. • Limit alcohol consumption – In addition to being toxic to the liver and compromising immune function, alcohol raises the blood sugar, requiring large amounts of damaging insulin to be secreted. It is also dehydrating. While there is no recognized “safe” recommendation, the CDC’s newest guidelines state “Women are classified as heavy drinkers if they have eight or more drinks a week, or roughly one per day. Men are classified as heavy drinkers if they have 14 drinks a week or two per day. Some integrative health practitioners recommend no more than 3 drinks per week for women and 7 for men. • Eat only meat & dairy that is organic and free-ranged – This ensures the meat is free from antibiotics, synthetic hormones and other harmful chemicals. It also ensures the inclusion of CLA (conjugated linoleic acid), present only in grass fed beef and its milk which is believed beneficial for weight control, skin disorders, and other health problems. • Increase consumption of Omega 3’s – Omega 3 & Omega 6 oils are essential fatty acids. This means that your body cannot produce them internally and hence they must be obtained from outside sources. Since most of us have an imbalance in these essential fats, consuming too much inflammatory Omega 6 oil, we need to concentrate on obtaining Omega 3’s which are anti-inflammatory. Sources of Omega 3’s include cold-water fish (e.g. Salmon, Cod, and Tuna) flax seed oil, and walnuts. • Increase fiber – Newer guidelines recommend up to 50 grams per day. Most of us consume about 10 grams. Fiber is found in fruits, vegetables, grains and legumes (peas, beans, lentils, etc.) Fiber acts to keep the colon clean, reducing toxins and cholesterol as well as ensuring the recommended number of bowel movements – one for each meal. Hippocrates believed that auto-intoxication from constipation was the cause of chronic disease! • Eat low glycemic foods – this automatically eliminates sugar and “junk food” but also includes foods such as white rice, potatoes, and grains as well as artificial sweeteners which can trick your body. High glycemic foods cause insulin spikes which can eventually lead to Metabolic Syndrome and diabetes. High glycemic foods also raise blood lipids and can lead to fatty liver. • Consider eliminating wheat consumption – while not everyone is in agreement on this, there is much evidence that the wheat of today is vastly different from the wheat of yesteryear, having a much higher percentage of gluten which may be contributing to the rapid rise of gluten sensitivity and celiac disease. In addition, farming methods include spraying wheat prior to harvest with Roundup, a notoriously toxic herbicide, to hasten drying. • Avoid trans fats and hydrogenated fats – these are fats which have been chemically altered and are especially toxic to your body. • Consume healthy fats – Among those generally considered healthy are olive oil, avocados, nuts, seeds, and meat and eggs from organically raised animals. These are some of the major points to remember when planning your food menus. One thing is clear from all this: “Eat your fruits and veggies” is probably the best advice your grandmother ever gave you for healthy eating! They supply much needed fiber, phytonutrients, and antioxidants. Newer recommendations advice up to 7 servings per day and some recommend filling your plate ¾ full with veggies while another source recommends we choose 35 different fruits & veggies per week! (I tried this and it was fun keeping track as well as flavorful!) Hope all this food for thought was helpful – let me know! I was having dinner with friends recently when the issue of high fructose corn syrup (HFCS) came up as my habit of reading labels did not go unnoticed. Of course my dinner mates snickered when I said I wouldn’t eat this particular “food” due to its inclusion of HFCS, obviously knowing I was on my usual rant about unhealthy foods and practices. So I decided to outline here the reasons for my concern with this particularly evil and dangerous ingredient. HFCS is a man-made ingredient manufactured from corn (most corn produced in this country is genetically modified, another reason to avoid it.) It is found in soft drinks, ice cream, and a wide variety of processed foods. It has been well documented that HFCS became prevalent in processed foods at about the same time the obesity epidemic took off. A coincidence? Probably not since we know that it is an appetite stimulant and, unlike glucose which is naturally present in carbohydrates, does not stimulate release of leptin, the hormone responsible for appetite suppression. Obesity is linked to inflammation which triggers a host of diseases included heart disease and cancer. HFCS also contributes to fatty liver, insulin resistance leading to diabetes, and elevated triglycerides (fats that are produced in the liver in response to excess calories and especially HFCS.) These effects contribute to heart disease, the leading cause of death in this country, seemingly enough of a reason to avoid this dangerous (and unnecessary) ingredient. The solution? Live and eat “out of the box.” Avoid processed foods. If you must eat processed, take Michael Pollan’s advice and eat only those which limit the number of ingredients to 5. Better yet, quoting Michael “Don’t eat anything your great great grandmother wouldn’t recognize as food.” And she surely wouldn’t recognize HFCS as food – our bodies don’t either. And so, even while I rarely eat processed foods of any type, I will continue to read those labels for evidence of toxic ingredients such as HFCS which even my grandmother wouldn’t recognize! For more info and to add your voice to the ban of this unsafe additive, click on the photo above. Obesity: Is it all about food? Most of us have been taught that obesity is caused solely by ingesting too many calories and/or burning insufficient calories. Other causes of weight gain are rarely considered or discussed by health care practitioners. What are some other causes? *Obesogens are chemicals that interfere with normal metabolism and can lead to obesity. They alter fat storage, change metabolic set points, disrupt energy balance and appetite regulation to promote fat accumulation. Many environmental toxins are obesogenic endocrine disruptors which can wreak havoc with your thyroid among other endocrine glands. Various pesticides, food and cosmetic preservatives, PCPs found in fish, and phthalates and BPA frequently found in plastic can all disrupt hormones of the endocrine system and contribute to obesity. *Drugs such as some antidepressants, synthetic hormones, anti-diabetic, anti-inflammatory, and anti-psychotic drugs can also contribute to weight gain. *Liver toxicity from medications, alcohol, and environmental toxins can also contribute to obesity. Reducing or eliminating OTC medications, particularly acetaminophen as well as trans fats, sugar, caffeine, and alcohol can reduce this risk. *Food allergies can lead to fluid retention with resultant weight gain. Foods most apt to be allergens include dairy products, corn, soy, wheat, sugar, and yeast. Food allergies are also thought to contribute to food addictions and binging. *Excessive ingestion of carbohydrates and/or insufficient protein intake. *High glycemic foods cause the release of excessive Insulin which leads to fat storage. *Stress causes the adrenal glands to release cortisol which increases the appetite and leads to fat storage, particularly in the abdomen. Poor eating habits during stress, such as increased intake of sugar and carbohydrates, leads to more cortisol release with resultant Insulin release and fat storage. *Disruption of intestinal bacteria such as that which occurs with the overuse of antibiotics. *Electromagnetic fields (EMFs) from seemingly harmless devices such as cell phones, cordless phones, microwave ovens, appliances, and computers can contribute to obesity by interfering with the body’s metabolism, resulting in reduced energy, blood sugar imbalance, appetite stimulation, and loss of natural detoxification, further contributing to weight gain. So what can be done? We can start by limiting our exposure to toxic chemicals (obesogens). Buying organic produce, limiting use of plastics to store food, avoiding toxic personal care and household chemicals can all help. We can also limit, reduce of avoid unnecessary medications by conferring with our PCP and bypassing OTCs, opting for healthier lifestyles instead. Diet is extremely important here – avoiding or reducing sugar, processed and other high glycemic foods, alcohol, and trans fats while adding Omega 3 fish oil and a high antioxidant diet (lots of fresh, whole veggies and fruit.) Stress reduction is also critical to lower the body’s production of cortisol and Insulin which leads to appetite stimulation and fat deposition. 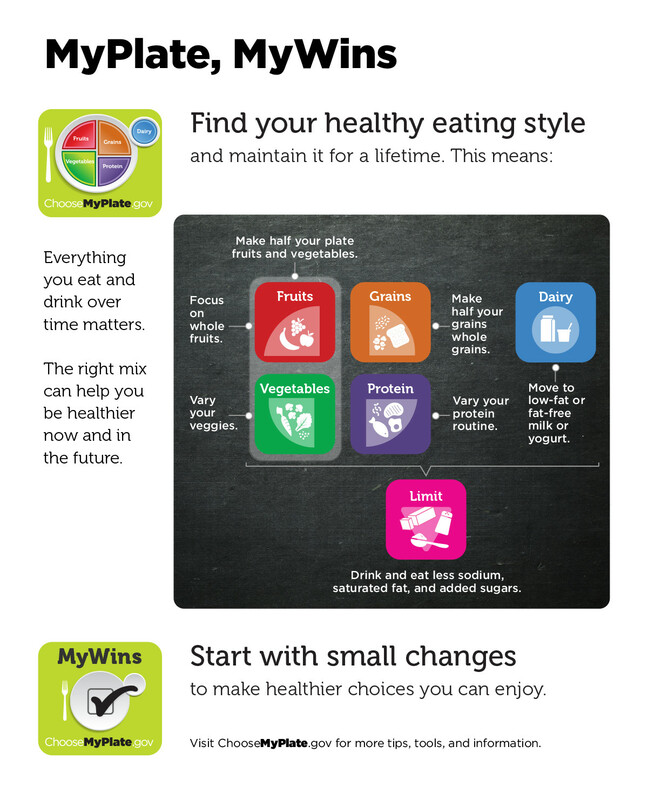 While obesity is not all about food, choosing a healthier diet can reduce the risk. I like to think of “holistic” as inclusive of not only the well-known trilogy of body, mind and spirit, but also of the “whole” picture of a health and wellness topic, in this case nutrition. Very often nutritional articles will discuss one component of nutrition but will leave out facts which would help the reader connect the necessary dots toward a fuller understanding of the many factors that contribute to healthy eating. One such example is the attention that has been given to calorie counting at the expense of true nutrition. While cutting calories can lead to better nutrition by eliminating unhealthful (and calorie-laden) foods, the focus is usually on “calories in/calories burned” for anticipated weight loss rather than the nutritive or fat-producing value of those calories. We now know that not all calories are created equally – many processed foods cause fat deposition due to the surge of insulin and lack of natural fiber. Calorie counting led to the current crisis of a “low fat” mentality erroneously touted as healthful several years ago and still ingrained in the minds of many. Low fat foods came at a cost: Increased sugar was added to foods and necessary, “healthy” fats were eliminated along with some unhealthy fats. Today we recognize the importance of foods high in healthy fats for both nutritional content and satiety value. Added sugar and processed carbohydrates actually made us fatter by stimulating fat-depositing insulin as well as appetite-stimulating hormones! Another example of incomplete nutritional information is the focus on the proposed new food labels. The concern here is to display in bold letters just how many calories per serving the food contains, noting that serving sizes will also be more prominent. The only other change will be that the addition of sugar will be listed. These are pretty lame changes for a country that is seriously overweight and undernourished in the land of plenty! Perhaps a more thoughtful and useful approach would be to have labels more prominently display all of the ingredients, including which ingredients are genetically modified. Going a step further, labels might also include “warnings” similar to those found on cigarette packages to alert us to the dangers of GMOs, trans fats, hydrogenated fats, high fructose corn syrup, sugar, sodium, preservatives, etc. Personally, I favor Michael Pollan’s advice in Food Rules: Don’t eat anything with more than 5 ingredients and don’t eat anything that your grandmother wouldn’t recognize as food. An even better “rule” might be to avoid most everything that comes with a label, opting instead for real, whole foods!